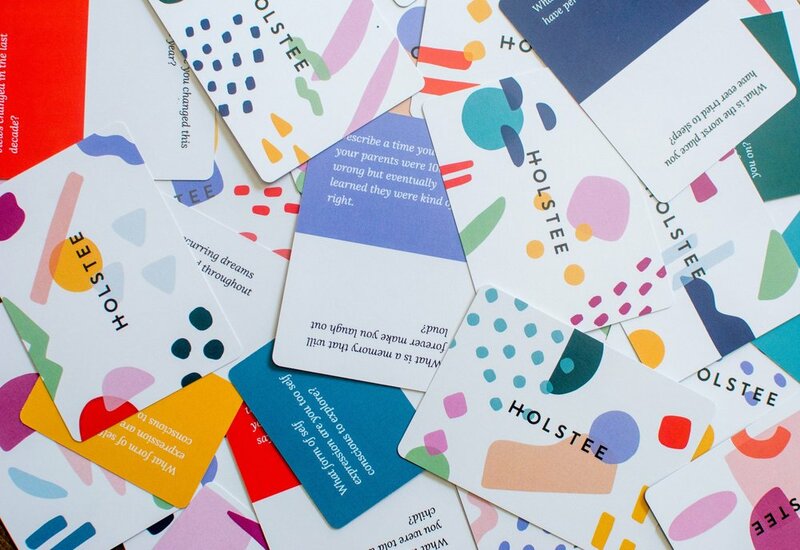 A Kickstarter-funded project (1,523 backers pledged $52,630) with my pals at Holstee, the Reflection Cards are a deck of questions to spark meaningful conversation and reflection. I hand-drew unique artwork for each of the 52 question cards which comes together in one giant, colorful, abstract shape puzzle. I also led design, content, and production on the whole deck and tuck box. Questions correspond with each of the 12 Holstee Themes (things like Compassion, Gratitude, Kinship) and feature two levels to allow for whatever depth of conversation you want. They’re awesome and you can buy them here! Specs: Printed by the United States Playing Card Company. Process: Artwork drawn in Adobe Draw (Illustrator for iPad), then assembled along with all text in Adobe Illustrator.